SPARTACOTE™ Stain job. 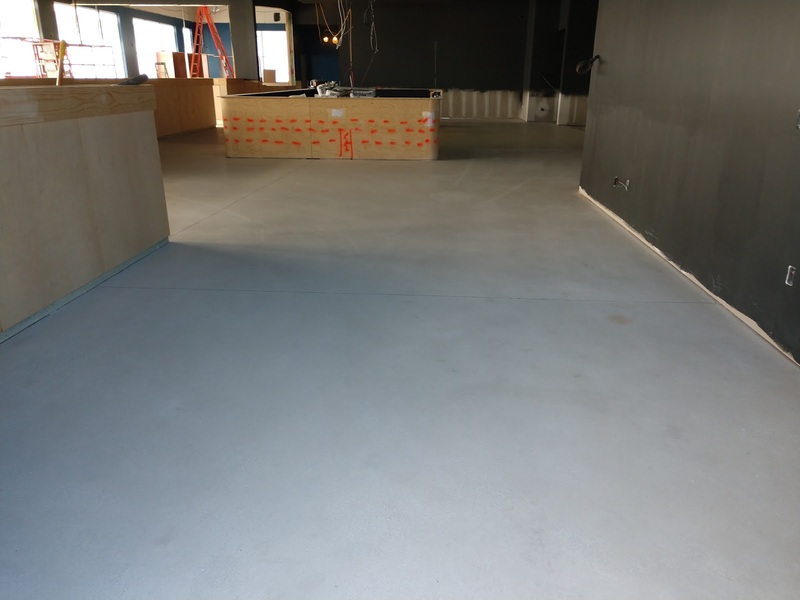 3,600 sq ft.
Treasure Coast Concrete Polishing is a family-owned polished concrete and SPARTACOTE coatings installer dedicated to superior workmanship and customer service. They are leaders in concrete resurfacing and pioneers in bringing the craft to the Treasure Coast. 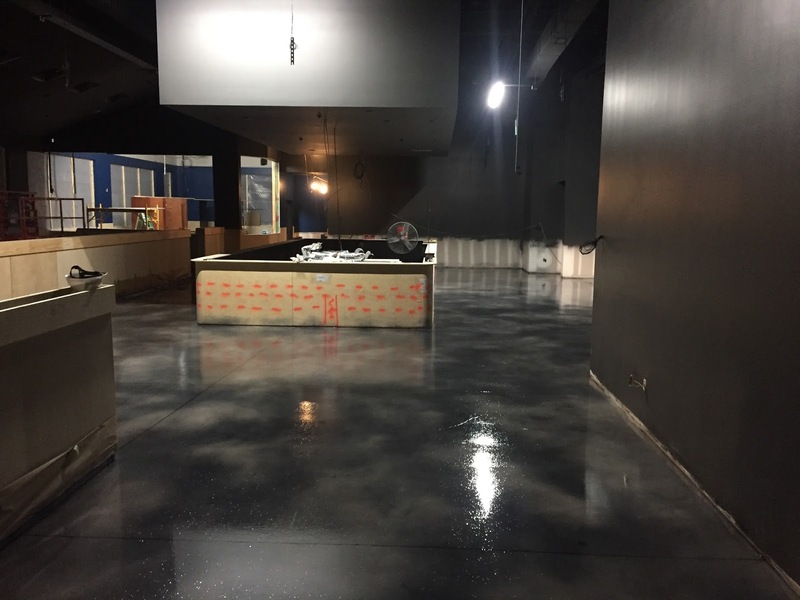 The Port of St. Lucie, FL, had a new construction 3,600 sq ft gathering space that they desired to give a decorative concrete look and feel. Due to their track record of excellence in decorative concrete and referred to by the Port itself because of their superior reputation and workmanship, Treasure Coast Concrete Polishing got the job. The project schedule that was demanding, requiring the Treasure Coast crew to work at night. Power was difficult to find due to it being new construction. The crew constantly had to run power to outside breakers in order to get the electrical required. They also had to enhance the crew size because of job site logistics and stringent project requirements. 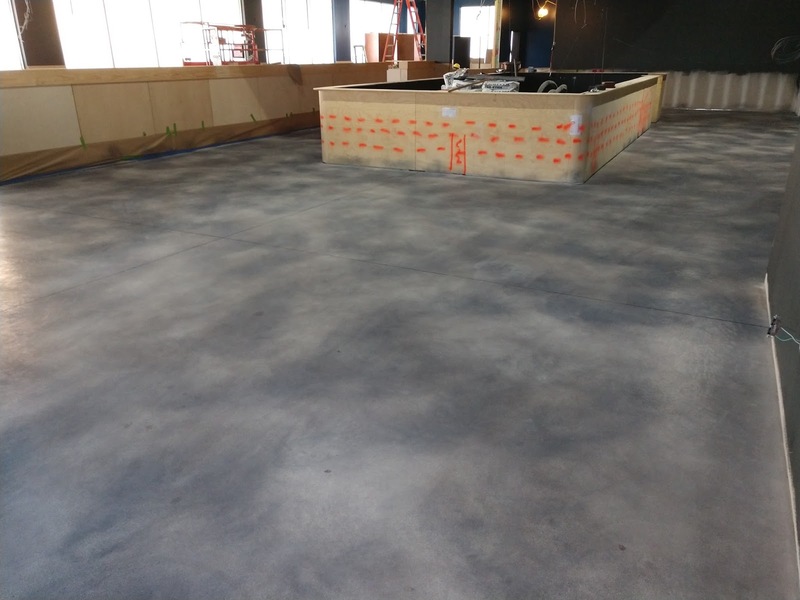 Concrete surface prep is vital to any SPARTACOTE coatings job, and this one was no different. The crew began by grinding the surface by mechanical profile to an ICRI CSP 2, equivalent to about 40 to 60 grit sand paper. They cleaned and vacuumed the excess dust from the surface. After the prep work was complete, the crew was ready to apply the SPARTACOTE stain coating system. 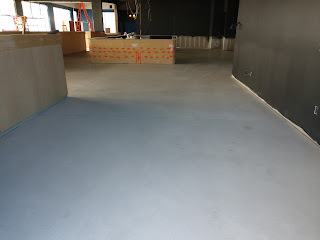 After thorough surface prep, the new floor space was ready to accept the stain. The crew applied grey and black stain to the surface at a rate of 400 sq ft per gallon. The stain flashed off quickly, drying in mere minutes. Immediately following the stain application, the crew applied the SPARTACOTE™ WB EPOXY™ over the stain to help lock in the color. They allowed it to dry for four hours. To complete the system, the Treasure Coast crew put down the top coat of SPARTACOTE™ Flex SB™ to the surface at a rate of 330 sq ft / gallon. The Flex SB is designed to give maximum work time while acting as an easy to place and versatile primer coat. To ensure high traction, the coatings crew employed SPARTAOTE GRIP 100 grit traction additive to the final clear top coat. This helps maximize slip resistance within the new space. The Treasure Coast project crew was able to deliver the job early and on budget. The Port of St. Lucie is very happy with the new SPARTACOTE Stain floor for their commons area. The Port plans to soon open the gathering space to the public. To learn more about our SPARTACOTE resinous and decorate finishes, click here or call us at 1.800.243.4788.